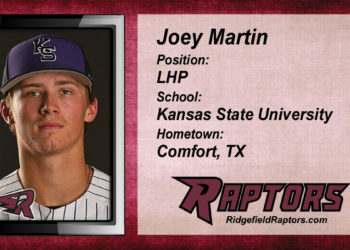 The Raptors have signed K-State pitcher Joey Martin for their inaugural season. 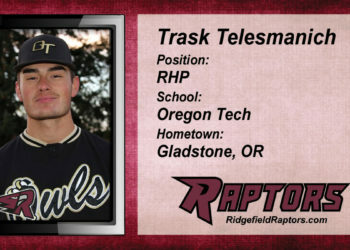 The Raptors announce the addition of junior RHP Trask Telesmanich to the 2019 roster. 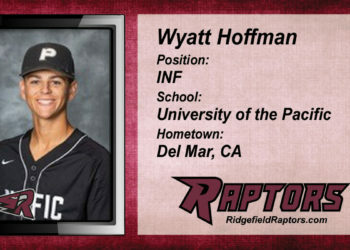 The Raptors are pleased to announce the signing of Wyatt Hoffman, the son of a Hall of Famer. 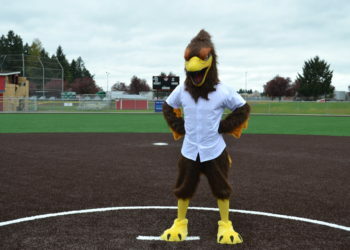 The Ridgefield Raptors are proud to introduce our inaugural community partners! 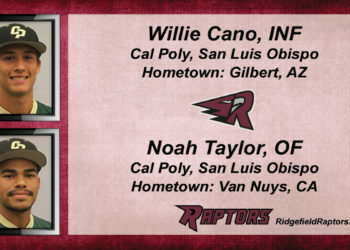 Cal Poly sends two versatile players to the Ridgefield Raptors in 2019. 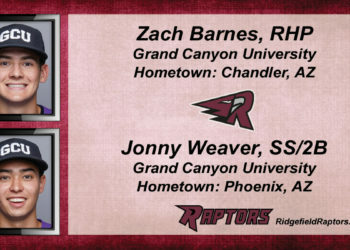 The Ridgefield Raptors have two Antelopes on the way for 2019, including a pitcher and infielder. 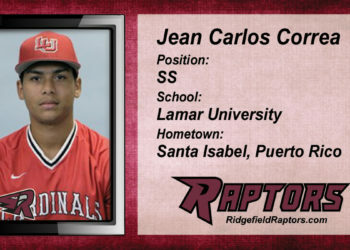 Lamar University shortstop Jean Carlos “JC” Correa joins the 2019 Ridgefield Raptors Roster! 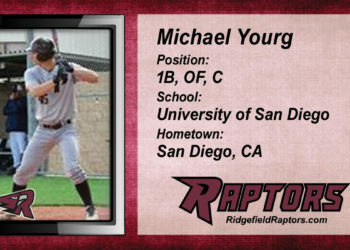 Join us in welcoming Michael Yourg to the 2019 Ridgefield Raptors roster! 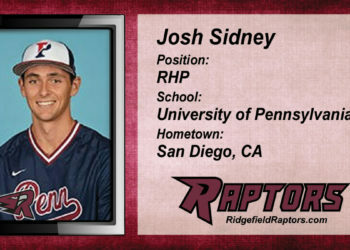 The Ridgefield Raptors announce the signing of Josh Sidney (RHP) from the University of Pennsylvania Quakers.